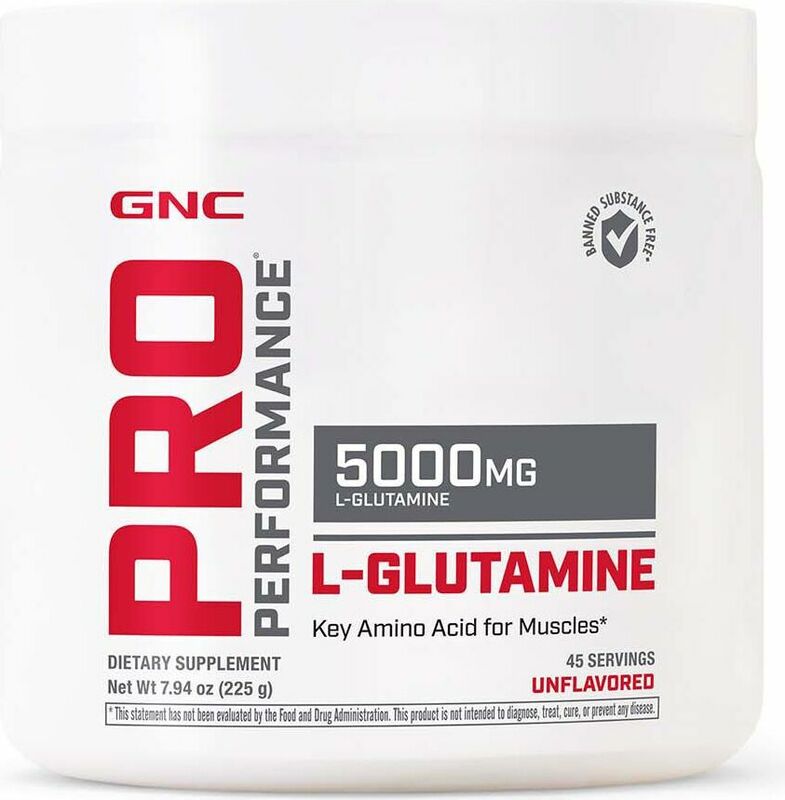 GNC Pro Performance L-Glutamine 5000mg is a gluten-free dietary supplement featuring L-Glutamine that has been micronized, turning the large molecules into smaller particles. 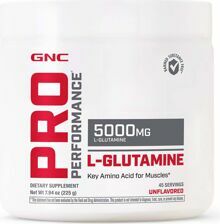 Glutamine is one of the most abundant amino acids found in muscles, while L-Glutamine is a preferential amino acid for use in skeletal muscle. Intense exercise can increase the release of glutamine from muscle cells, contributing to the depletion of glutamine stores in muscles. L-Glutamine dietary supplement may help the body maintain glutamine levels in muscle. As a dietary supplement, take one scoop (5g) twice daily. For maximum results, take one scoop post-exercise.